With the clock ticking for hoteliers to have information about their accessibility posted on their websites, the National Network of ADA Centers Hospitality Initiative and the BluePath Project are teaming up to discuss ways the hospitality industry can market themselves to the largest growing consumer group in the United States. 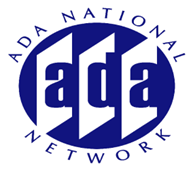 The Mid-Atlantic ADA Center, together with the National Network of ADA Centers, launched an initiative to promote accessibility and opportunity for people with disabilities within the hospitality industry. The BluePath project is a project of the Northwest ADA Center designed to market accessible hotels and business's to the community of people with disabilities. This audio conference will discuss tools needed to help hotels access their accessible features, and then take advantage of their efforts to identify and remove barriers by promoting themselves to travelers with disabilities and the "boomers" generation. Discussion points will include but not be limited to ways for determining the usability of work out rooms, swimming pools, and recreation elements within a hotel, using a checklist designed specifically for the hospitality industry and taking that information and marketing the accessible features to the boomer generation and the community of People with disabilities. Discussion will include how to use practical inviting ways respectful of the culture of people with disabilities and older travelers. Marian Vessels Director, Mid-Atlantic ADA Center at TransCen Inc.